When soft tissues like ligaments, tendons or nerves rub across bone spurs, the results can be quite painful, and when bone spurs develop on the interior surface of a joint, they can compromise range of motion. Bone spurs develop most commonly along the bones of the spine, shoulders, hands, hips, knees, and feet. Sometimes spurs will break off from the underlying bone and become suspended inside the synovial fluid inside a joint, causing a “locking” sensation and preventing range of motion. This condition is also called osteophytes. 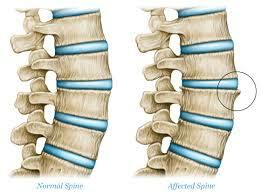 When it affects the spine, it can cause pain and loss of motion. When it pinches the nerves or the spinal cord, it may also cause weakness or numbness in the arms or legs. A heel spur can even lead to calluses and corns on the foot due to pressure. Regular use of a cold compress will help reduce symptoms like pain, swelling and inflammation due to a bone spur. It will also help relax the muscles in the affected area. Apply the ice pack over the affected area and press gently. Repeat this remedy as needed. Note: Do not apply ice directly on the skin as it may cause frostbite. Ginger is another excellent home remedy for bone spurs. Being a natural anti-inflammatory, it can help reduce pain, swelling as well as inflammation. Moreover, it helps improve blood circulation. Drink ginger tea up to 3 times a day. To make the tea, boil 1 tablespoon of thinly sliced ginger in 2 cups of water for 10 minutes. Strain, add honey and drink it. Also, massage the affected area with ginger oil a few times daily. Apple cider vinegar is also a good home remedy for bone spurs. Its anti-inflammatory properties help reduce pain and inflammation. It also helps rebalance the pH levels and prevent bone spurs. Add 1 to 2 teaspoons of raw, unfiltered apple cider vinegar in 1 glass of water. Drink it twice a day for best results. You can also put a paper towel soaked in apple cider vinegar over the affected area. Leave it on for a few hours. Do this a couple of times daily. Turmeric is also beneficial for alleviating symptoms associated with bone spurs. Curcumin, the yellow pigment in turmeric, has anti-inflammatory and antioxidant properties that help reduce inflammation and pain. Add 1 teaspoon of turmeric powder to 1 cup of milk and heat it over low flame. Drink this twice a day for quick recovery. Flaxseed contains alpha-linolenic acid, a form of omega-3 fatty acid that can help reduce pain and inflammation. Soak a clean cloth in warm flaxseed oil, then tie it on the affected area. Put a heating pad over the cloth to keep the area warm. Use this treatment once daily. Another option is to tie 1 cup of flaxseeds securely in a piece of cloth. Warm it in the microwave for a few seconds. Place it over the affected area and apply pressure for a few minutes. Repeat as needed. You can reuse the same flaxseed hot pack a few times. Also, include flaxseeds in your diet on a regular basis. If the pain and inflammation become severe, you can try an Epsom salt bath. The magnesium sulfate crystals will help reduce pain, swelling and inflammation. Mix 2 cups of Epsom salt in a bathtub of warm water. Simple and mild exercises done on a regular basis will help reduce the symptoms of bone spurs and improve mobility. Do simple stretching exercises for 30 minutes, 5 times a week, especially in the morning. Try some low-impact maintenance exercises that strengthen the core and stretch the muscles of the legs and arms. Do these exercises 5 times a week. Walking on a soft surface with cushioned, supportive shoes for 30 minutes daily is also beneficial. Go swimming or bicycling occasionally to stay fit. Don’t forget to do the 10 minute 10 joint exercise every day. Coconut oil is known as a natural moisturizing agent that is very effective in softening the bone spurs and relieving pain. In addition, the calcium present in coconut oil is required for healthy formation of your bones. Firstly, warm a little coconut oil and then use it to massage the affected area. Then, leave it on there for several hours in order to relieve the pain and inflammation. You should follow this way every day before going to sleep to prevent the discomfort in the next morning. Another option, you can also have 1 tablespoon of virgin coconut oil in the daily morning. This herb is comprised of many essential minerals such as selenium and calcium that are required for healthy formation of your bones. In addition, it can also help to keep pain and inflammation in check. At first, add alfalfa seeds in boiling water. Then, cover this cup and let them soak for 20 to 25 minutes. After that, strain this tea and then add honey to it. You should have 3 or 4 times per day until the pain as well as inflammation disappear. Then, you need to drink only 1 to 2 cups per day to get rid of the symptoms. It is widely used in traditional medicine in order to cure many diseases. In addition, its extracts contain potent anti-inflammatory properties that are very effective in reducing inflammation in the affected area. Firstly, add the black cumin seeds in clean water and then boil them for about half an hour. Next, strain off these seeds and then allow this water to cool down completely. Finally, drink this extract for 2 times daily for about 2 weeks. The symptoms of inflammation will be gone within 1 week of this treatment. Cabbage leaves are an excellent way listed in the home remedies for bone spurs in neck and other parts. This is very useful in easing pain and inflammation. In addition, this is also a great method to treat the swelling caused by bone spurs. However, you should also rest your heels properly during this time to get rid of the inflammation fast. At first, slowly heat the cabbage leaves over a low flame in order to soften them. Make sure that you do not make them break while using them. Now, cover the affected area with these leaves. Then, use a paper wrap or gauze bandage to keep the leaves in place. After that, leave them on there until they dry completely. You should do this way daily in the evening for about 2 weeks. If you want to get extra benefits from this method, add sesame oil, or coconut oil. Marigold is rich sources of antioxidants and can help you to improve the blood circulation and promote the growth of new cells. Then, slightly heat it for blending and let the mixture cool down. Finally, soak your affected area in a small tub filled with this solution for half an hour per day. For people with spinal bone spurs, it is advisable for them to lie down with their back on the bath tub. Milk is an excellent source of vitamin D that is required for treating bone spurs. Hence, you should try to consume cow’s milk daily to improve the healing process of bone spurs. This oil is a great natural anti-inflammatory agent that can do wonders for improving the blood circulation to the affected area. Besides, grape seeds are available in the form of capsules and can be taken as anti-inflammatory supplements. In a small tub, combine tea tree oil with grape seed oil together. Then, soak the affected area in this solution. Finally, pat the area dry completely. Follow this way for two times daily. Firstly, mix cayenne pepper, turmeric, and ginger well in a bowl. Then, add this mixture in an airtight container. For relieving bone spurs, take a teaspoon of this mixture and mix it in a glass of tepid water and drink it. Another option, boil 1 cup of clean water. Then, add 1/4 cup of lemon juice and 3 tablespoons of ginger or garlic to it. Now, let it boil for about 30 seconds. After that, add cayenne pepper to it and allow it to simmer for a few minutes until you can smell the smell of ginger. Finally, drink this water whenever you suffer from the pain. Eat more healthy foods, especially those containing omega-3 fatty acids, magnesium, calcium and vitamins D, E and K.
Omega-3 fatty acids and vitamin E help reduce inflammation caused by bone spurs. Vitamin D and K help keep your bones strong and prevent abnormal bone and cartilage mineralization. Magnesium and calcium help relieve pain from bone spurs. Lose extra weight to reduce pressure on the affected region, especially the feet. Before beginning any physical activity, always do some simple warm-up exercises to decrease discomfort afterward. Keep your feet slightly elevated to prevent swelling and inflammation due to heel spurs. Use well-fitted heel pad shoe inserts to prevent more damage to your feet. Always wear well-fitting shoes and proper shoes for each activity. Avoid foods with hydrogenated fats, soft drinks, junk foods and processed foods as they upset the body’s mineral balance. Reduce stress as it contributes to more pain in the affected areas. Yoga and meditation are also helpful in reducing pain and inflammation caused by bone spurs. Acupuncture can also relieve the pain. If bone spurs cause extreme pain, rest and avoid any sort of physical activity as it may increase the inflammation as well as pain. Maintain a good posture to prevent and offer relief from bone spurs. Also follow the following healthy life style.